Hot stocks today, April 21: Fresh off a holiday-shortened week that left all three major benchmarks up 2%, stocks headed higher Monday, kicking off a busy week. Some 150 S&P 500 companies report earnings this week. The earnings calendar gets especially crowded Tuesday and Wednesday, when a number of household names and global giants post Q1 results. Trading volume was light Monday, with some traders taking an extended holiday and dozens of markets closed abroad. But there was no shortage of market-moving news. Following are 12 of Monday's hot stocks to watch. Advanced Micro Devices Inc. (NYSE: AMD) rose 12% to $4.20 intraday on better than expected earnings and rosy guidance. The maker of processors for PlayStation 4 and Xbox One took in revenue of $1.4 billion in Q1, topping forecasts of $1.34 billion. AMD expects revenue to rise to between $1.41 and $1.48 billion in Q2. Investment firms Bernstein and FBR lifted their price targets on the stock to $3 and $6 respectively. AstraZenca Plc (NYSE ADR: AZN) shares surged some 6% to $67.70 in morning trading on heavy volume. Sending shares higher were unconfirmed reports that Pfizer Inc. (NYSE: PFE) approached the British drug giant with a $101 billion takeover offer. While AZN is said to have rebuffed Pfizer's overtures, PFE is likely to continue courting AZN. Pfizer is particularly interested in AZN's immunotherapies (which strengthen the body's ability to fight cancer), according to Reuters. Shares of PFE were up 1.5% midday. 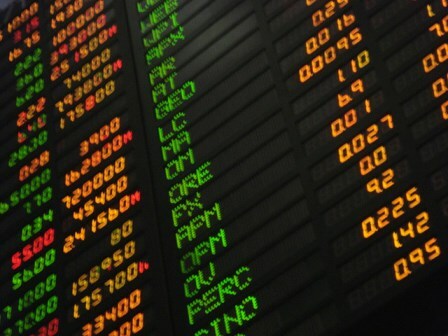 Astrom Biosciences Inc. (Nasdaq: ASTM) shares soared 35% to $4.95 in morning trading after announcing an agreement to acquire Sanofi SA's (NYSE ADR: SNY) Cell Therapy and Regenerative Medicine unit (CTRM) for $6.5 million. With the CTRM purchase, ASTM gets global manufacturing rights to three marketed autologous cell therapy (stem cell) products. ASTM will also purchase global manufacturing and production centers located in the United States and Denmark. The Ann Arbor, Mich.-based company called the acquisition "transformative" and said it positions ASTM as a "fully integrated global regenerative medicine company."